This is where I picture the Angies List Pictures Make sure it’s loud and clear. At Hooked Up Installs, we have harnessed our commitment and our passion for innovation and performance and applied them to creating bold new standards that shatter commercial expectations. Whether you are installing a simple component system or building the home theater of your dreams, Hooked Up Installs is dedicated to providing personalized full-service solutions to our customers. With in-home consultations and installation services, Hooked Up Installs is Chicago’s one-stop-shop for TV, Audio & Home Theater installations. We begin every project by listening to your wishes and purpose; then, we integrate your vision with our knowledge to fulfill your desire. We take the worry and guesswork out of design. Hooked Up Installs specializes in identifying the appropriate entertainment products and installing them the correct way. By combining unbeatable service, unrivaled expertise, and top-of-the line merchandise, we guarantee your home theater will perform at the highest possible level for you and your family. Angie’s List Super Service Award 11 Years Running! The idea behind our operation is simple: customers deserve not only top-of-the-line products but also top-of-the-line service. We are a practical alternative to the larger electronic retailers who will not put a premium on customer satisfaction. We let our 9 years of Angie's List Super Service Awards speak for themselves and no one else can say that. We have excited thousands of clients with our personalized touch, and have created hundreds of unique systems. Our portfolio includes product sales and installation in Country Clubs, Restaurants, Commercial Offices, and residential homes — in both new home construction and existing homes. Check out the photo gallery for an in-depth look. Our commitment to you, the client, is the foundation of our work. Your satisfaction is the foremost goal for Hooked Up Installs professionals, and it is our mission to build an enduring relationship as your trusted partner of choice. We always stand behind our work. We have access to cutting-edge technology and only use the most trusted brands in our systems such as Sony, Bose, Samsung, and much more. Check out our products we use page, we are sure you will approve! 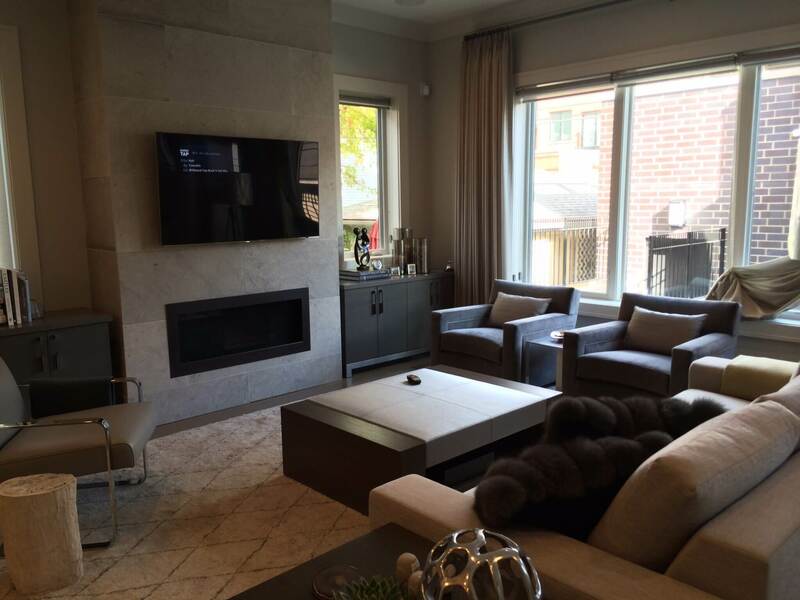 Hooked Up Installs provided us with a Whole Home Automation system that includes audio, video, security and lighting. Brent and his team were very professional and paid great attention to detail during the entire process from design to install. Brent has always been helpful as we continue to add new features and automation. Our surround sound systems are awesome and the lighting scenes really set the ambiance in our new home. Our first real test of the system came on vacation when showing the iPhone integration to family members. We noticed from the front porch camera that UPS had delivered a lot of our new furniture and we would not be home for a week. Concerned, we called friends to move it to our garage. We were able to remotely disable the alarm, turn on lights, open the garage and reset the alarm for our friends to move the packages. What a cool system!